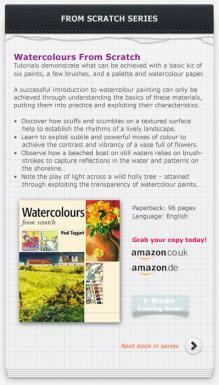 “I conceived this From Scratch series to provide the grounding people should have when starting out in painting and each book is based on the questions most frequently asked of me. With over thirty years experience of working with people who paint for pleasure, professional fine artist Paul Taggart makes no assumptions on behalf of those approaching him for guidance. As always, Paul Taggart demonstrates the subject from a different angle, knowing that the best way to help someone learn a new skill, is through alternative approaches. 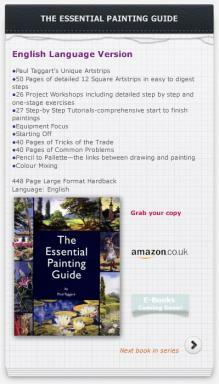 Each book tackles the basic materials, putting them into practice, getting to grips with colour and colour mixing, before moving onto a series of projects. 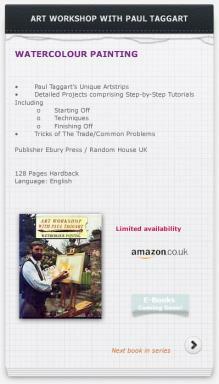 Through his unique Artstrips©, Paul Taggart is able to impart detailed instructions on materials and demonstrate the most basic of techniques, as well as those that can only be passed on visually. When combined with exercises and stage-by-stage compositions these amount to substantial tutorials. 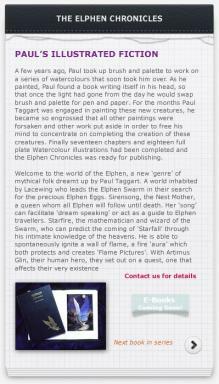 Enquiries continue to come in for Paul's first two books from around the world. 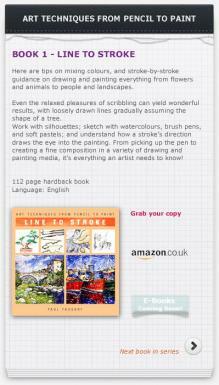 Whilst each book is currently out of print both are widely available in libraries throughout the UK and in some libraries in Australia. "Next time you look up into the royal blue of an evening sky and spy a falling star, think of the Elphen. Somewhere, not so far away, they are gathering their numbers to follow that star until it reaches the earth. There hidden in the undergrowth they will find their treasure, an Elphen Egg, which has traversed the starfields themselves to reach its destination. If only you believe you may see them on their journey home, carrying their egg between them. Tiny specks against the night sky, only visible when they cross a bright star, or the face of a full moon."